Look at that girl! Do you see that obsessed look in her eyes? THAT is someone who loves yarn. I appreciate yarn for every reason there is. I love cheap yarn, expensive yarn; the soft, the gritty; bulky and fine weights; yarn I spun myself and decades-old yarn stashed in storage. I love it all. Cheap yarn: Why love cheap? There are always a million reasons NOT to do something. Creative endeavors take time and money, but crochet gives a big bang for your buck, and simple projects can be completed quickly. You can literally learn by purchasing a $1.34 hook and a $2.47 skein of yarn from Wal*Mart. Your project will be wonderful because you created it with your own hands. And really, a picnic blanket that will be christened with mustard and ketchup is not worth the expense of fancy, lovely yarn. Yes, I’m a little bit of a yarn snob, but cheap yarn totally has it’s place, especially if you are giving crochet a try and don’t want to invest too much hard earned cash! So no excuses – get crocheting! Expensive yarn: Why spend the money? Sometimes you need a yarn that truly shines. When you are putting hours into a special blanket for your firstborn babe or making a prayer shawl for a friend in need, you want the materials to be as special as the person you are honoring. Even if it is your first time crocheting, uneven stitches and all, your project will easily impress when made with quality yarn – why? First of all, because you made something with your own two hands; and, secondly, you made it with yarn that is gorgeous all on its own. Soft yarn: Who wouldn’t want soft and silky yarn on your skin? Throw a shawl over your sundress on cool summer nights, crochet beaded yarn into a stunning necklace, teach kids to make their own wrist bands – just be sure you love the way it feels on your skin before you are stuck with something unbearably scratchy. Click to visit her Etsy shop. Gritty yarn: After discussing soft yarn, how can I convince you gritty and scratchy yarn has its place? Gritty yarn is great for any project that requires durability – rugs, coasters, rope, etc. I was given some raw Lincoln wool. I washed it, spun it on my drop spindle, and dyed it fire red, orange, and yellow. When I held the hank of yarn, I envisioned a set of coasters. I sold it on Etsy, and the customer sent me a photo of this doll and her blazing hair! I still feel honored my yarn became something so special. 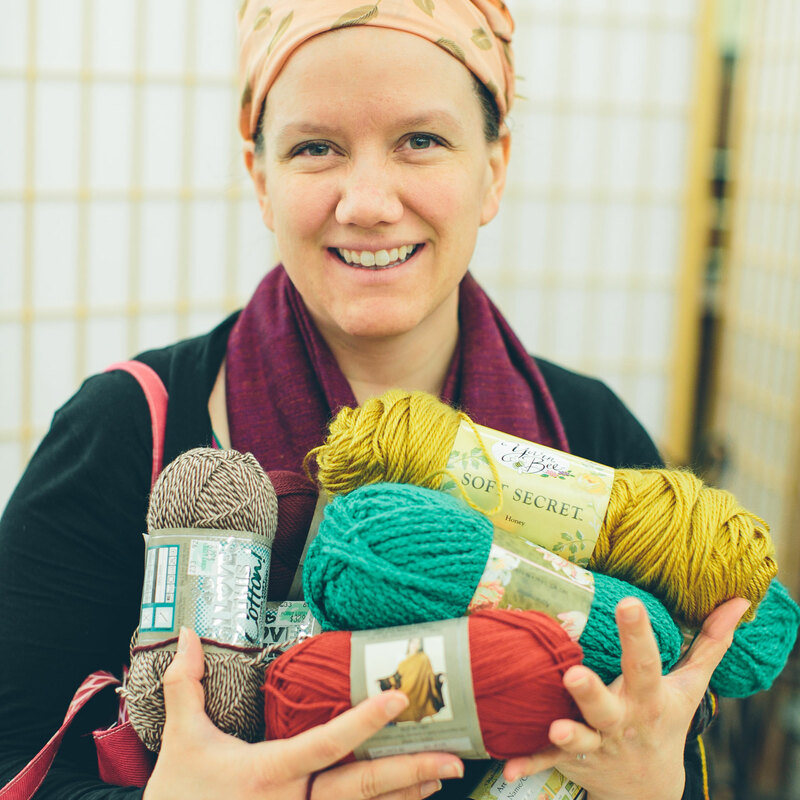 Bulky: Use for quick, thick, or cozy projects like cowls, blankets, or nesting bowls. Bulky is especially wonderful when teaching children how to finger knit. The way each stitch fills the space between each finger and how quickly a row is completed is a marvel – it really encourages children to keep at it! Fine weight yarns: Use for delicate items, like a shawl. My favorite use is taking a pattern that is written for bulky yarn and using the same stitches and hook size but switching out the bulky weight for a fine weight (an infinity scarf, for example). A beautiful and airy look results, and no one would know it came from a pattern written for thicker yarn. Yarn I spun myself is my favorite. I really know that skein of yarn after I wash it, dye it, spin it, and wrap it into a hank. When I sell one, I feel as though a friend is leaving. But I feel that way about everything I make. It’s a little part of me going to someone else. What someone gave me from their stash is ALWAYS fun. Sometimes the colors are so outdated that its retro appeal makes a bold, fashion forward statement. The variety and the challenge to think up creative projects for each skein is an undertaking I truly enjoy. I was once given an entire bin of yarn. I was in hat making mode at the time and that stash of yarn inspired so many fruit and vegetable hats: apple, pumpkin, eggplant, grape, cantaloupe, watermelon, cherry, strawberry, raspberry, tomato. Because someone gifted yarn to me, I was very free to create and experiment and learn. Grab yarn everywhere you can: thrift stores, garage sales, someone’s attic. 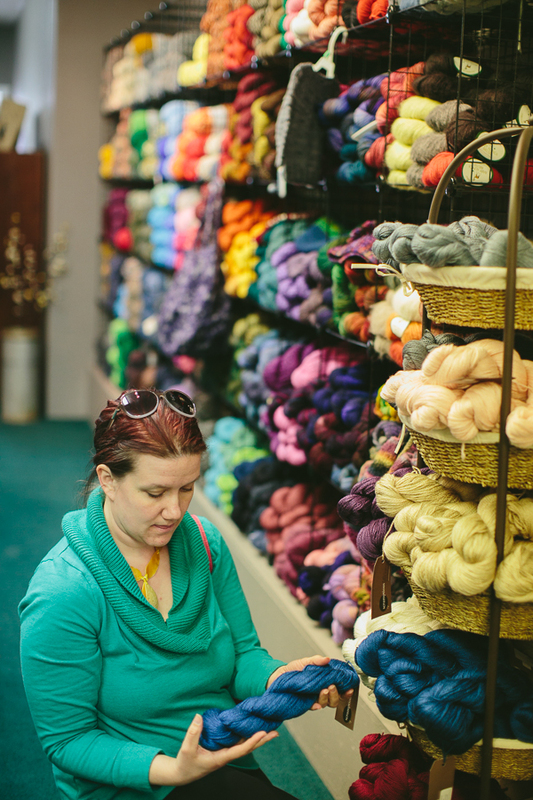 Save your precious pennies and head to your favorite yarn shop. Go ahead, buy that delicious skein of yarn you’ve been drooling over and dreaming up wonderful projects for. Maybe it will become a new family heirloom or perhaps a tangible way to wrap a loved one with a piece of yourself. No matter the project, person, reason, or season – yarn is everywhere and the possibilities are endless. Next postSummertime Project Poll… Vote Now!